This card was named after Doug Carroll. Being d'Resh though and since this expansion focused on Illusions, it received an ability to boost the amount of energy on Illusions, so he's one magi to watch. 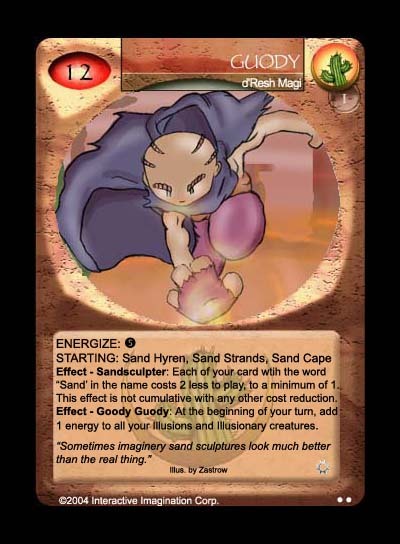 Also, since his backstory is that he's a sandsculpter and glassmaker, he received the ability to play Sand spells for two less. The art is a customised piece by Justin Zastrow.